The cyclic ketogenic diet is a well functioning method for many people because it is effective even without maintaining a systematic diet that includes eating every 2 or 3 hours. Its cardinal advantage is that a well carried out ketogenic diet spares us from losing muscle because our body uses fats as a source of energy and thus muscle will not be reduced by the synthesis of carbohydrates from protein. Below you can read about the scientific/boring description of the cyclic ketogenic diet. How can we evoke ketosis? What does ketosis mean exactly? What's the deal with the side effects? 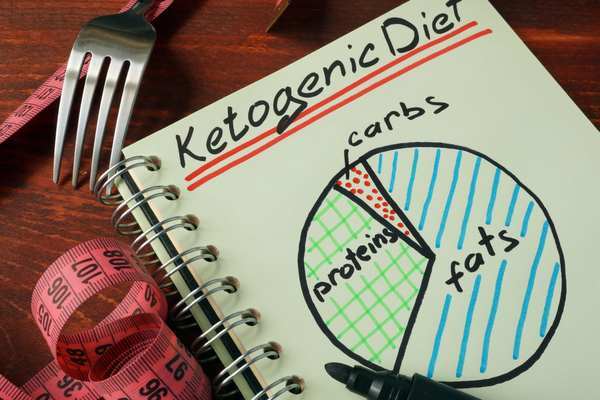 The ketogenic diet has again become more and more popular among dieters and sportmen. Books such as Dr. Atkins’ New Diet Revolution or Eades’ Protein Power have brought back the low-carb diets into the arena of dietary regimes. Moreover, in the field of sport diets two differing practices are competing with each other: the Anabolic Diet made by Dr. Mauro DiPlasquale and Dan Duchaine’s Body Opus. These two diets are not simply suggesting a low carb diet but propose a cyclic ketogenic approach in which a five-day, low carbohydrate intake is followed by a two-day carbohydrate-filled diet, similar to the system used by athletes before competitions. Unfortunately, it is difficult to judge these two diets according to the articles written about them, since groups with different interests share many disagreements about the matter. Instead of joining in, we thought about summarizing the theoretical basics and advantages of the cyclic ketogenic diet. We will also inform you about the health aspects as well. The ketones are the byproducts of the lipid metabolism. They are produced from fat in the liver due to the effect of glucagon. Two types of ketones circulating in the bloodstream (curriculum sanguinis): the acetoacetic acid and the beta-hydroxybutyric acid. Most of the active tissues - including the brain, the muscles and the heart - are able to burn the ketones as sources of energy. Of course, besides a normal blood sugar level the blood sugar (glucose) is the essential “fuel” of these organs. The tissues’ ketone usage depends on the concentration of the ketone bodies in the blood. In a normal case the ketone usage is minimal, not more than 1-2% of the energy consumption. In the case of diabetics, this concentration increases up to 5%. Insulin and glucagon, which are circulating in the blood, control the evolvement of the ketone bodies and their usage as fuels. Insulin is a hormone which is emitted by the pancreas as a response to the carbohydrate consumption. Glucagon is the antagonistic hormone of the insulin, which only appears if the insulin level drops too low. The blood’s increased glucagon level starts the detachment of the free fatty acids from triglycerides and induces beta oxidation, also known as fatty acid degradation. Moreover, in the adipose tissue the glucagon activates lipase, and enzyme that results in the dissociation of the fats. However, the glucagon’s ketogenic and lipolytic effect cease to exist when enough insulin is present. In plain English: carbohydrate consumption, especially in the form of sugar, practically stops the process of fat burning! In order to achieve glucagon concentration, which is needed for the fat burning (ketogenesis/lipolysis) the blood sugar level should be reduced to 50-60 mg/dl and the insulin level should be reduced to practically zero. The decrease of the insulin level can be caused by starvation, workout or simply reducing the daily carbohydrate intake below 30 grams. On the third day of the carbohydrate withdrawal the blood sugar decreases to 60 mg/dl, the insulin level decreases to zero, but the glucagon level increases which, alongside exercise, contributes to ketogenesis and ketosis. Ketosis (that is, the appearance of ketone bodies in the bloodstream) may occur in many circumstances: starvation, prolonged exercise, or high fat diet. When ketosis happens (in other words, when the ketone concentration is higher in the blood than the glucose concentration), ketones become the main nutrient of the three previously mentioned tissues, even providing 75% of the “fuel”. The brain, which normally utilizes only glucose, shifts to the exclusive use of ketone bodies as its primary energy source in a matter of two to three weeks. This is the reason why cerebration somewhat lessens in the first week of adapting to the ketone diet. Therefore, the ketogenic diet is not always the best choice for those whose work demands great mental activity. Food fats are the most ketogenic. Their transformation into glucose is only about 10% efficient. Proteins are located in the middle of the ketogenic scale, equalling approximately 58% transformation into glucose. This is caused by amino acids, which can either become ketoplastic, destined to become ketones, or glucoplastic, destined to become glucose. 100% of carbohydrates breaks down into blood sugar. This is why they are anti-ketogenic. In principle, in order to quickly achieve ketosis, a minimum of 1.5 g fat should be consumed to every protein and/or carbohydrate. This results in the 1.5:1 ketogenic ratio. In clinical practice a higher ratio is used, but in the case of healthy athletes, there is no need for this. Ketosis is a certain type of metabolic state when the ketone concentration exceeds the normal level in the blood. As we will discuss it further on, it is not the same as ketoacidosis, which can be commonly seen among diabetics. There is a very simple way to control the ketone production. Apart from the case of the diabetes, the ketone surplus simply excretes into the urine. This allows anyone to check the production of ketones by using acetone test strips to detect ketone presence in the urine. The formation of ketosis - even in the short term - increases the body’s ability to utilize fats as energy sources. During the evolvement of ketosis, a so-called fasting respiratory quotient [RQ], the ratio of the amount of carbon dioxide produced and the amount of oxygen used at the same time, decreases. When burning carbohydrates: RQ=1; when only burning fats, the quotient is 0,71, and in the case of mixed eating, it is between 0,8 and 0,85. Thus, the ketogenic diet decreases the glucose oxidation as the ketones continue to cover the body's energy demand more and more. Additionally, the ketogenic diet increases fat oxidation during training, especially in the case of hardened individuals. One of the major debates regarding the ketogenic diet is about the supposed protein protecting effect of it compared to high carb diets. ​Due to the methodological differences, some studies have shown that the protein utilization has been reduced, others have been shown that it increased. However, accessible data supports the theory that ketosis protects proteins from being utilized as an energy source of the body. Because practically an unlimited amount of fat is available to convert into ketones and as long as ketones can be used by tissues, there is not much need for the oxidation of fats and their conversion into glucose by gluconeogenesis. Low carbohydrate intake allows a greater degree of free fatty acid emission and lipolysis (digestion of fats) than either the carbohydrate diet or the normal diets. An increase in the fat burning hormones’ levels, including growth hormone glucagon, catecholamines and glucocorticoids, is playing a part of this. Increasing the growth hormone’s level – with low carb diets – provides additional help against the protein loss. Hopefully, the above written description adequately demonstrated what happens when ketosis occurs, which can be achieved by the combination of carbohydrate withdrawal, appropriate fat / protein intake, and workout. However, many people could achieve satisfactory results with less strict diets and this type of extreme approach is not necessarily good for everybody. We have to mention that a similar hormonal condition (decreased insulin, etc.) can also be reached under normal dietary conditions with different means. For example, the replacement of high glycemic index carbohydrates with low index ones decreases the normal insulin level just as the increased grain consumption. The cardiovascular training done in the morning with an empty stomach depicts a similar hormonal picture due to the low blood sugar level after an 8 hours long sleep. 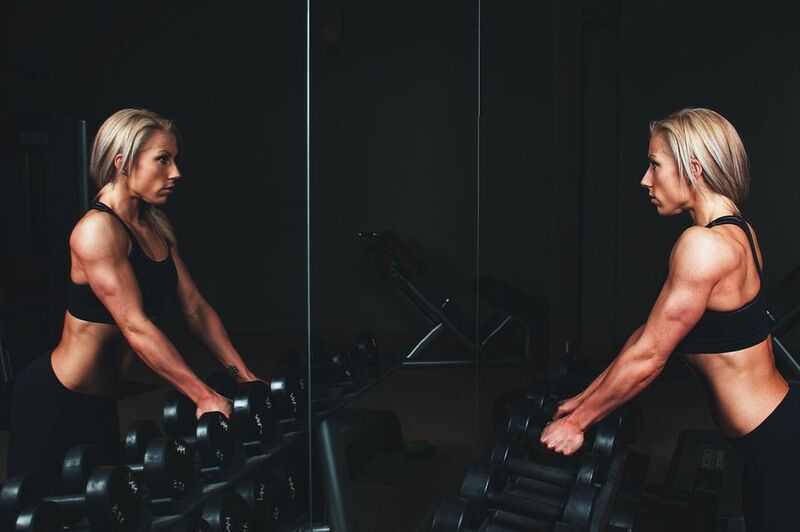 Moreover, high intensity weight training after doing cardio also allows greater fat utilization thanks to the reduced blood sugar and insulin levels. We have not yet talked about the most unique element of the cyclic ketogenic diet: the high carbohydrate phase on the weekend. Validating the weekend carbohydrate filling is the most important cornerstone of a cyclic ketogenic diet. Unfortunately, direct research data on healthy athletes is scarcely available, so conclusions should be drawn from other data. The problem of many fat burning diets is the inevitable decrease of the lean body mass (or in other words: the muscles). The muscle tissue loss results in slower metabolism which most likely leads to gaining weight. Although the ketogenic diets can control the protein loss more than the high carb diets, a certain amount of muscle loss still happens. The carbohydrate filling on the weekends which helps the muscles’ glycogen storage to fill up for the next week’s training also provides anabolic stimulus and it rebuilds most, if not all, of the lost muscles. With a normal carbohydrate diet, the carbohydrate stores of the muscles remain charged. Under these circumstances, the total muscle mass approximately contains 350 grams of glycogen. During a very exhausting workout when depletion also happens, a high carbohydrate intake (filling) afterwards can double the carbohydrate supply of the muscles. Following a general diet and participating in exercise increases the insulin and increases the muscle’s ability to respond to insulin as a glucose builder hormone. However, this insulin sensitivity increases only in a hardened muscle. The growth is commensurable to the exhaustion of the used muscle’s glycogen. In addition, for low carbohydrate diets, synthase (the enzyme which promotes the carbohydrate’s way into the muscle) activity also increases. Such effects do not occur in the case of a high carbohydrate diet. Combining a high fat diet with exhaustive exercise (to be performed on Friday or Saturday just before the carbohydrate filling period) and completing with high carbohydrate intake leads to glycogen storage overcompensation. However, while the whole overcompensation can take 3 or 4 days, in the case of the glycogen storage, this can occur in 24 hours. The muscles can store 9 grams of glycogen per kilogram of lean body mass, which can be raised up to 16 grams as a result of training. There was nothing in the previously mentioned items that we could not have known so far. 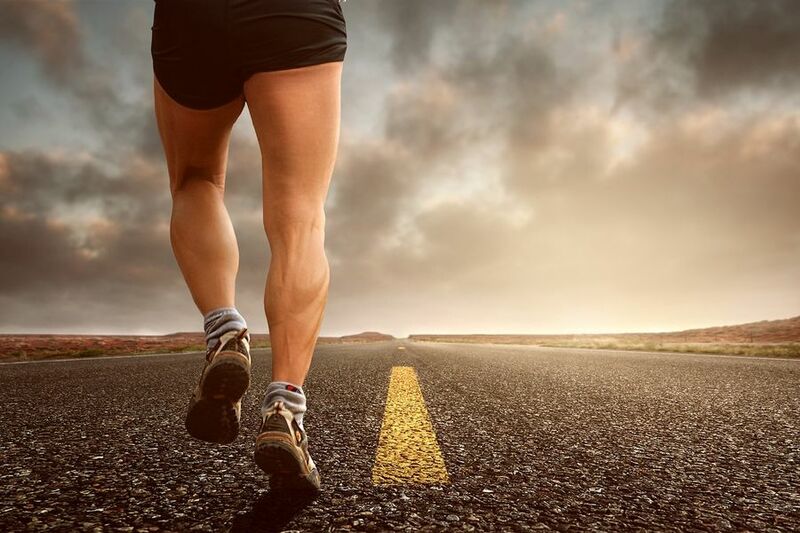 Endurance athletes expect to improve their performance by carrying out an exhaustive workout of 3 days with a low carbohydrate diet in order to achieve glycogenic overcompensation, thus increasing their energy storages for the competition. And what’s with the muscle rebuilding that we alluded to earlier? For every gram of stored carbohydrates in the muscles- with drinking a sufficient amount of water - 4 grams of water will be stored adventitiously. While following a general diet, a person with a fat-free body weight of 65 kg stores approx. 350 g of glycogen. Calculating with 4 grams of water, this means another 1400 grams of water are stored in the muscles. Calculating with 16 g of glycogen (due to overcompensation) for the same fat-free body weight, it has the possibility of storing 4010 g of glycogen, allowing 4160 g of water to be stored which means three times more weight gain. The most recent studies support the idea that the muscle’s protein infiltration is controlled by the cells’ hydration condition. In accordance with this theory, cellular dehydration gives a proteolytic, protein-decomposing signal (for example, in case of burns), while cellular hydration (especially overhydration due to glycogen supercompensation) gives the cells a strong anabolic signal. However, after a three-days, high-fat diet, the insulin response to a standard glucose charge is equivalent to a high carbohydrate diet. Further extreme increases in insulin levels (hyperinsulinemia) give another anabolic stimulus. So it seems acceptable (although further research is needed to reinforce or refute it) that glycogen supercompensation, in addition to a strong anabolic stimulus due to triple cellular hydration, can rebuild the lost muscle during a low carbohydrate diet. What we currently do not understand is why endurance athletes who use a specific way of glycogen overcompensation do not visibly seem to grow their muscles. This suggests that carbohydrate charge alone after carbohydrate withdrawal and protein depletion doesn’t automatically trigger anabolic processes. The biggest side effect of the ketogenic diet is tiredness, especially during the early phase of the ketone formation and mainly in the brain. Recent studies have found that mental capacity may decline in the first week of the ketogenic diet, but this effect will be alleviated by continuing the diet. During a four-week examination period, elevated cholesterol levels have been observed, but unfortunately no long term studies are available. At the same time, the radical change in eating can cause significant changes in the biochemical balance of the body, so we need to monitor our health condition through our body’s feedback. The fat level and other features of the blood may indicate possible negative effects, so it is advisable to perform these tests more frequently. Let us say a few comments about the nutrient intake. Due to the ketogenic diet’s confining aspect there is a high chance for the lack of microelements. Therefore, by all means it is advisable to take multi-vitamins and mineral supplements in 100% or more of the recommended daily dose (RDA). Above we described the physiological basis of the cyclic ketogenic diet [CKD] and the research results that concern them. After that we will look into its practical application among bodybuilders. maximum fat burning with minimal muscle loss. Hereinafter, we will discuss the fat burning application of the CKD, which basically helps the competition preparation. The typical problem of being on a diet before the competition is that it causes muscle loss. The CKD helps you with this problem in two ways. First, the ketogenic diet minimizes the muscle tissue loss on the dietary days. Secondly, the carbohydrate filling phase has anabolic action to recover the lost muscles. We divided the fat burning program of the CKD into two sections: carb free section and carb filling section. The daily dose of carbohydrate intake must remain under 30 grams. At the same time, this number may vary from one person to another. While some can handle more carbohydrates, others at this level may struggle to create ketosis. If you cannot get into ketosis and everything is in the right place, try to lower the carbohydrate intake to 20 grams or less. On the other hand, there are those who eat as little carbohydrate as possible (practically zero) as long as the ketosis is completely set and then carefully increase the dose (celery and cucumber are very good for this purpose and can bring interesting color stains into a somewhat modest diet). The ketogenic ratio should be at least 1.5, so each gram of protein and carbohydrate must be at least 1.5 grams of fat. At least 75% of the calories should be of fat, up to 25% of protein, and carbohydrates should only be found in traces. So if you plan to eat 200 grams of protein that day, then you need to eat at least 300 grams of fat too. In most cases, the easiest way to ensure the amount of fat is that you first take the food with protein (which already contains certain amount of fat) and balance it with foods that provide the right amount of fats, eg. vegetable oil, cream cheese, mayonnaise, cream with a 30% fat content (you will get a very tasty pudding dessert if you mix it with protein powder). Calorie levels should be set to 10-20% or below, depending on how fast you need to lose body fat. Here is how you can count your general (stable) calorie level: calculate the caloric intake of basal metabolism (BMR) by 24 calories per kilogram of fat-free body weight, and then adjust it with a multiplier depending on your daily activity (1.2 in bed, 1.6 in normal, 2.0 is hyperactive). If you want to lose more than 1 kg of body fat per week, you should increase the calories. If you think that the fat burning is not fast enough, decrease the calories or increase the quantity of the cardio training. For example, let’s say your calorie intake is 2000 kcal in the carb free section. 500 calories of the maximum 25% of protein counted with 4kcal/g of calorific value equals 125 g protein. These amounts should be distributed into three or four meals. The other key element of the ketogenic diet’s initiation and maintenance is that the blood sugar level should be reduced from the normal 4-6 mmol/l to 2,5-3 mmol/l as soon as possible. ​At this point the insulin level drops and the glucagon level (which is responsible for the ketosis) rises. The simple carbohydrate withdrawal changes the ketosis within 3-4 days. However, with proper training, this can be achieved within 36-48 hours after stopping the carbohydrate intake. And the more time you are in the ketosis state, the more fat you lose. Let’s see the typical “before the competition” type of workout programs. Their overall feature is to reduce weight in all exercises and use higher repeats until the muscle burns. This is based on a misconception. It is the worst thing that a natural bodybuilder could do when being on a diet. ​In order to maintain our muscles, we need heavy weights. If we refuse to reduce the volume of the workout (the numbers of the workout days and the exercises) then besides the low carbohydrate intake the risk of overtraining increases. There is one thing that cannot be emphasized enough: while doing a fat burning diet you cannot put on muscles. Don’t even try to. The best that a natural bodybuilder could do is to protect the muscles which were put on previously with a lot of hard work. In order to protect these muscles hard work is required but with lower volume. For a quick decreasing of the blood glucose level, you need an exhaustive form of exercise. At first, it may seem that reducing the volume does not serve a good purpose. However, from our point of view the amount of workout (which determines how much sugar the muscle uses from the blood stream) depends on the size of the used muscle. Therefore, in order to evoke ketosis faster, we have to train our biggest muscle groups (legs, back and chest) at all events on the first two days of the carbohydrate withdrawal. Another variant can be the whole body workout on Mondays and Tuesdays. This has the advantage of ceasing the sore muscles until the carbohydrate filling. Muscle injuries can cause short-term insulin insensitivity, which may hinder glycogen filling. The depletion workout comes from Dan Duchaine’s book, “Bodyopus”. Its significance- apart from emptying the glycogen from the muscles - is that the body gets a great anabolic stimulus at the carbohydrate filling stage. On Friday the “circular workout” can be the best solution. For example: squatting, bench press, rowing, leg curl, military press, pull to chest, calves, triceps, biceps with straight-bar, abs, lower back, alternating types of exercises in each round (straight bench - tilted bench, sitting calves - standing calves) in order to work the most different type of muscle-fibers. Do 10-20 moderately fast, but controlled repetitions per sections, and never go down to failure. The weight used should be approx. 50% (half!) of what you used on Monday and Tuesday when you did 6-8 repetitions. Don’t rest for more than 1 minute between the series (of exercises) and approx. You can relax for 5 minutes between each circle. Continue doing these rounds of exercises until you feel the decline of your strength (and believe it, you will feel it). This indicates that the glycogen stores of the muscles are depleted. At the same time, we must also say that depletion workouts are not a condition for everyone to achieve good results. Try both of the above mentioned methods and choose the right one for you. Before starting the depleting workout it is very important to get out of the ketosis state. For this the most suitable method is the consumption of 50 grams of carbs (fruits if possible) approximately 2 hours before the training. The importance of this is that during ketosis the body prefers ketones as fuels instead of the glucose (see: Physiological basics). In order to achieve maximal glycogen depleting in every muscle fiber, we have to stop the ketosis. Thus with the training we can achieve highest possible glycogen depleting. The carbohydrate filling starts right after the last workout on Friday and continues through 24-36 hours until you return to the low carbohydrate intake. One of the most useful features of the ketogenic diet is that you burn more body fat even when you rest than you do while following a high carb diet. In addition, as a consequence of low "fuel" efficiency of the ketones (that is 7kcal/g facing the value of the fats that is 9kcal/g) you burn more grams of fat than it would following the shortage of calorie. This means that you need less cardio workout. Those, who want to make sure that they burn the maximum amount of fats, do 20-30 minutes long cardio workouts (on 60-70% of the maximal heart rate) on Wednesdays and Thursdays, perhaps after Tuesday’s workout as well. Besides this, 10 minutes easy cardio before and after the workouts on Mondays and Tuesdays helps reduce the blood sugar level for the start of the ketosis. Don’t do too much cardio (aerobic) training, because then you are guaranteed to lose your hard-gained muscles. In an anabolic process associated with cell hydration, it rebuilds some of the muscles that you lost during the week. Refills the muscles’ glycogen stores for the first training of the next week enabling the practice of an intensive training with which muscle loss can be avoided during a low calorie diet. There are two ways to approach the carbohydrate filling section. Let’s see! Simply rely on your feelings while consuming carbohydrates until you start feeling that your muscles and skin fill with water, become swollen and smooth. This shows that the muscles’ glycogen stores are full and the further consumed fat will be stored. The type of consumable carbohydrates (simple sugars or complex carbohydrates) depends to a great extent on how quickly they can fill the muscle. This approach enables you to observe yourself so that you can bring out your best during the competition preparation. In order to increase fat burning, it is recommended that the filling should not last more than 24 to 36 hours. In this way we convert our diet to a 6-days low carb, 1-day filling type of diet. Also – I repeat- more ketogenic days burn more fat. For those who want to get rid of the fat faster: carbohydrate fillings on every second weekend can bring very good results, although they are not very enjoyable things. In this case a concentrated carbohydrate intake is recommended within one hour after the Friday training, and then return to the low carbohydrate diet immediately. If we don’t overdo it, we can return to the ketosis state on Saturday morning. The advantage of this approach is that the number of ketogenic days are relatively high (10 out of 14 versus the 8/14, which happens when we do carbohydrate fill every weekend). However, its disadvantage is that it is quite boring and the risk of losing muscles is higher. But let me repeat: experience tells it all! The key is the constant checking of the body composition. ​This approach is more specific. After the glycogen emptying the muscle can absorb 16 grams of carbohydrate as fat-free bodyweight kilograms in the first 24 hours and 9 grams in the second 24 hours. 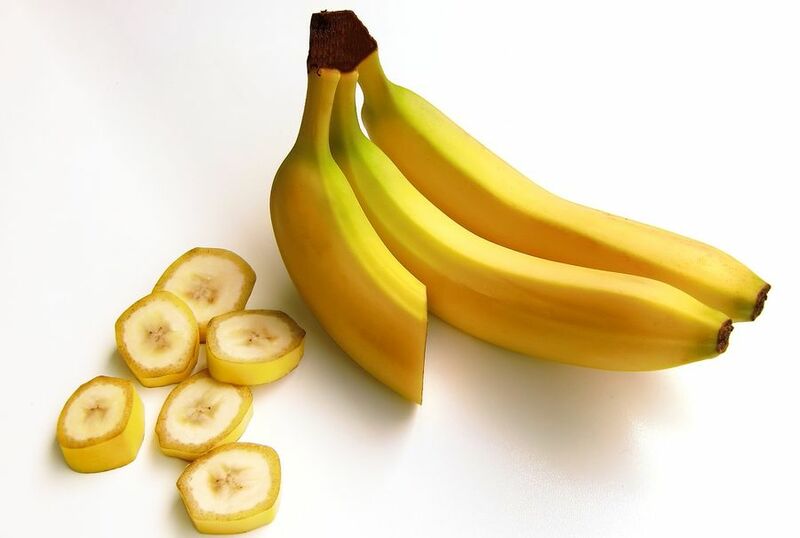 Regarding the amount and quality of carbohydrate, it should be emphasized that many simple carbohydrates should be consumed at the beginning of the filling, and then we should gradually shift to small amounts of complex carbohydrates towards the end. More precise instructions can be found in Dan Duchaine's Bodyopus book. Protein: Eat 2 grams of protein per fat-free body weight kilograms, equally distributed over 24 hours a day. Fat: 15% of the total caloric intake should be essential fatty acids (pumpkin seed oil, olive oil, linseed oil, very good sources), especially after the filling in order to slow down the digestion. Water: For every gram of carbohydrates that you consume you should drink 3-4 grams of water in order to fill the muscles up properly. Although this is irrelevant because drinking water is a must, whether you are on a diet or not. 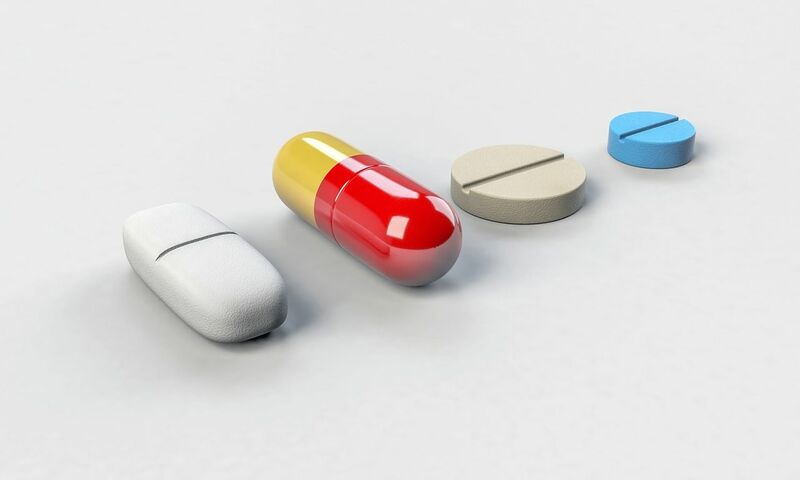 Nutritional supplements: Supplements such as vanadium, chromium, and magnesium can help boost the carbohydrate filling by improving insulin sensitivity and helping lower blood sugar. Besides this, 750 mg of succinic acid [HCA] three times a day helps to drive carbohydrates into the muscle, preventing them from transforming into fat. Finally, in the carbohydrate-filling stage the creatine monohydrate can, in principle, improve cellular hydration and anabolic effects. This can be very useful for competitors. Most of the bodybuilders in the off-season - when they are not preparing for a competition - are in a bulking phase. Hey, it’s winter, the clothes cover everything. It is time to let ourselves put on a little weight and start bulking a bit. The great thing regarding the ketogenic diet is that with the given calorie level (above the kept level) you grow but with much less body fat infiltration than as if you would be on a high or moderate carbohydrate diet. It is best if your body fat won’t go higher than 10-12% if you are a boy or higher than 15% in the case of a girl, or if it takes too much time for you to lose weight for the competition. I think nobody likes to be on a diet for 16 weeks. Well, instead of the out of season fat growth, keep your fat in check. The ketogenic mass gain cyclic diet basically looks like a fat burning phase: 5 days of low carb diet is followed by a carbohydrate filling. ​The biggest difference is in the form of training, in the calorie levels, in the quality of cardiovascular training and in the length and quality of the carbohydrate filling. The form of training and the training method are very subjective things. There so many different methods that it is impossible to claim which one is the best. In my opinion, each person is different thus it would be a mistake to speak generally about good training programs. We can hope that everybody finds the one which fits for them – only for them – the best. If it is the HIT (High Intensity Training) program, then it’s great. Hardgainer periodization, etc – all good ideas, tried by many people. However, it is not appropriate to give training advice without actually knowing the particular person. At the same time, some general training rules exist. First, in my opinion, in most of the branches of sports the athletes are over-trained. While I have some reservations about extremely low-volume workouts, I think that a training of up to 3 or 4 weights a week can be suggested to a talented beginner. Of course, some professionals train more than this but they use hm, a certain type of supplements which are not good for the naturals. For natural athletes the “more” is NOT “better”. I think after a point every athlete realizes that less is better, both in training frequency and in training volume. In addition, Eastern European studies have allegedly found that levels of anabolic hormones such as GH (growth hormone) and testosterone fall back after an hour of training. ​If you cannot do your workouts in one hour, you must reconsider your workout program. As we talked about it when it came to fat burning, basically the diet’s quality is the same whether we do fat burning or bulking. The quantity of the fat intake should be at least 1.5 times the amount of protein or carbohydrate intake, but the carbohydrate should be kept below 30 grams per day. In practice this equals zero because 30 grams come together from hidden carbohydrates. The difference is just how much we eat. As we already mentioned, the great advantage of a ketogenic diet is that excess calories (especially fats) are excreted as ketones and not stored. Thus the amount of calories should be very high throughout the week. The main element of the diet is to eat lots of fatty red meat, fish, etc., and eat as much as you can. Set the calorie level depending on how much fat and muscle builds up each week. If you planned right, you can build a good amount of muscle with only a little fat added. One is when you eat everything that has carbohydrate in it and accept that you will put on a little more weight in the off-season. This is fine if you know that your body will have a good reaction to the following diet and you can lose fat easily. For most of us, the best is to start with a bigger amount of high glycemic index (simple) carbs and then slowly continue consuming more complex carbs (like those containing amylum). As always, testing and writing down the experiences can be a big help. However, the filling must be stopped if you feel a bit rounded because that suggests that further calorie intake will increase your fat. This can happen within 24 hours if you eat sweets or very sweet donuts and can happen within 48 hours if you eat pastas and sweet buns. One more thing that we need to discuss regarding the carbohydrates and this is the middle week carbohydrate point. Basically, this is a possibility that I suggest trying in order to promote anabolism. Up to 1000 kcal of carbohydrates intake is allowed on Wednesday morning with a little protein (if your workout will be later, for example, at night, when the ketosis is repeated), but then you need to return to low carbohydrate intake. By choosing the right fast carbs (like glucosum powder) it is easier to enter the ketosis state. Certain supplements can be useful in the mass gaining section. Perhaps the most important of all these is the creatine monohydrate. The total weekly intake of creatine monohydrate is a bit wasteful, but if you eat a double dose (around 40 g) at the end of the week, this is a good way to increase cell volume and trigger anabolic processes. Insulin sensitivity intensifier such as chromium (800 micrograms per day) and vanadium sulfate (up to 120 mg per day) may also be useful. Before training 2 gram L-glutamin has a good effect on the GH (Growth Hormone) emission and on the triggering of the anabolic processes. Of course, protein powders, carbohydrate drinks, vitamins and mineral matters have good effects too. In one word, be big, don’t put on too much fat and for the next competition be bigger and better as you were before. If you are a natural body builder and you do this, you will win not just the competition.